The famous Bournemouth land train is running along the seafront with a sprinkle of festive magic in the run up to Christmas. 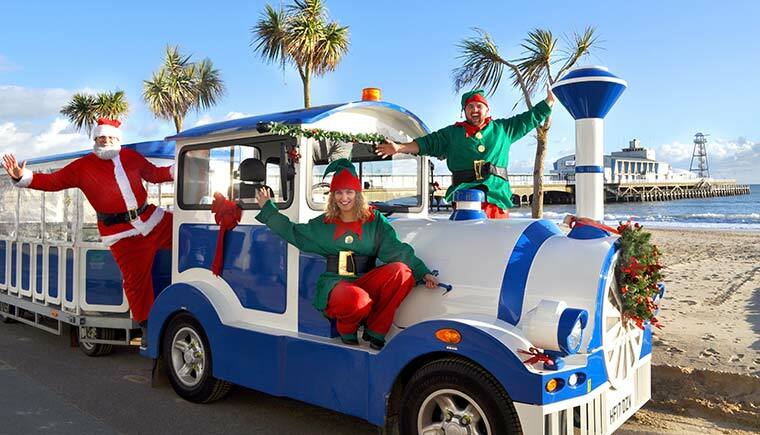 Until 24 December, Santa and his elves are taking passengers on a jolly journey along the stunning seafront. Flotsam, one of the newest trains in the fleet, has been decked out with festive decorations. Passengers can sit back, relax and take in the breathtaking views of Bournemouth, while soaking up the Christmas spirit. The trains are running from 10am – 4pm daily and will depart from Bournemouth travelling to Boscombe and Alum Chine.